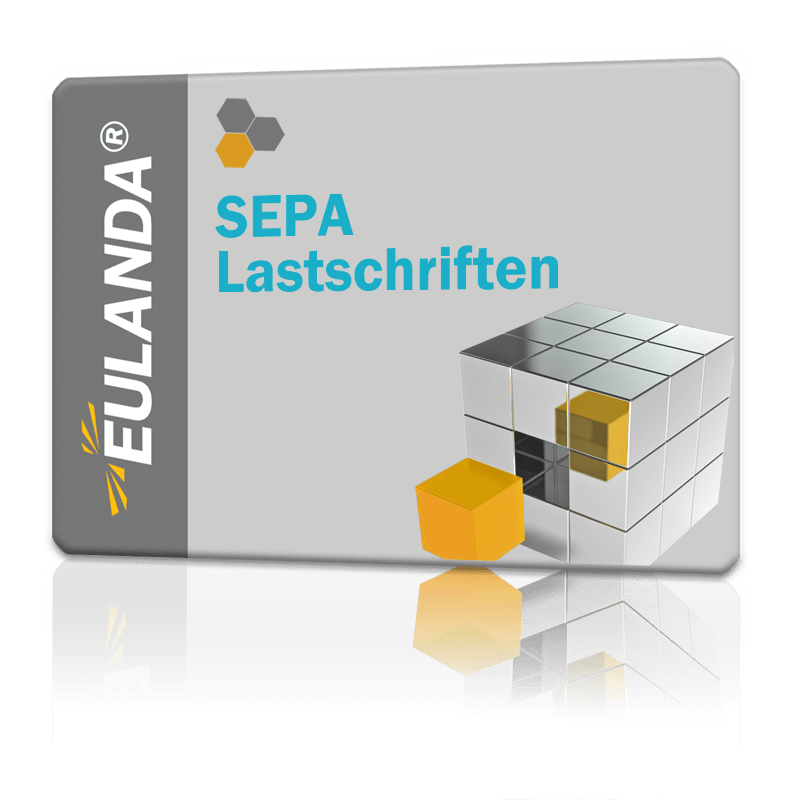 The SEPA module extends your EULANDA® enterprise resource planning system with the possibility to create SPEA mandates. Invoices that are marked accordingly can be converted into the SEPA XML format and transferred to your bank using your banking software (SFIRM, PROFICASH, etc.). SEPA outputs are logged and archived. OP compensation is automatic. The SEPA Direct Debit Mandate provides them with the legal legitimacy to collect direct debits. A mandate includes both the payer's consent to collect the payment and the instruction to the payer's own bank to redeem the payment. In order to participate in this direct debit procedure, you as a company must have a creditor identification number (unique identification number for direct debits of a creditor). You can inquire about these at the Deutsche Bundesbank.